Join us on Tuesday, April 10 at 4pm for a lively panel discussion about poetry with Daniel Thomas Moran, Peter Manning, Star Black, and Mindy Kronenberg. Register here. 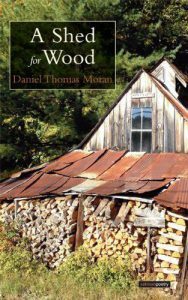 Daniel Thomas Moran: manuscripts, correspondence, reviews, and books by Dr. Moran, former Poet Laureate of Suffolk County, New York and author of many books of poetry. He holds a Bachelor’s Degree in Biological Sciences from Stony Brook University (1979) and a Doctorate in Dental Surgery from Howard University (1983). Dr. and Mrs. Moran have also donated more than 300 contemporary, autographed books and pledged significant philanthropic support to Special Collections. 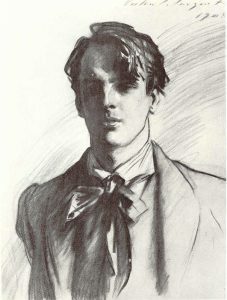 William Butler Yeats: the most extensive collection of the famed Irish poet and author’s manuscripts housed outside of Ireland. 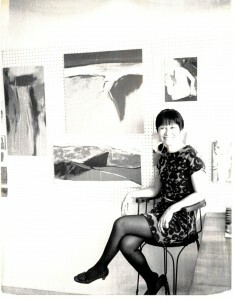 Diana Chang: personal papers of the Chinese American novelist, poet, educator, and artist. Her first novel, The Frontiers of Love, originally published by Random House in 1956, was the first novel to have been written by an American born, Chinese American, in the United States. SBU Poetry Center Film Archive: watch revered poets such as Allen Ginsberg, Kofi Awanoor, and Gwendolyn Brooks read their works. Filmed on the Stony Brook campus in the 1970s. John Ciardi: books, manuscripts, recordings, and related materials donated by Ciardi’s biographer, Dr. Edward Cifelli. Claire Nicolas White: manuscripts, journals and notebooks, correspondence, and published works of the Long Island author and translator. Graham Everett: a collection of literary works and correspondence from poet, professor, and publisher Dr. Graham Everett, founding editor of Street Magazine and Street Press. Historic and Literary Manuscripts: Black Mountain Poets (Robert Duncan, Robert Creeley, Fielding Dawson, Charles Olson, Larry Eigner), Ernesto Cardenal, and more are represented in this diverse collection. Jorge Carrera Andrade: manuscripts and correspondence of the Ecuadorian poet, essayist, and diplomat. For more information about Special Collections and University Archives, please visit the website for the department. William Butler Yeats by John Singer Sargent, 1908. Wikimedia Commons. “A Shed For Wood” by Daniel Thomas Moran. Cliffs of Moher, County Clare, Ireland: Salmon Poetry, 2014. 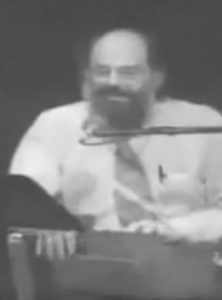 Watch: “A Conversation with Allen Ginsberg” at Stony Brook University. Filmed May 11, 1978.